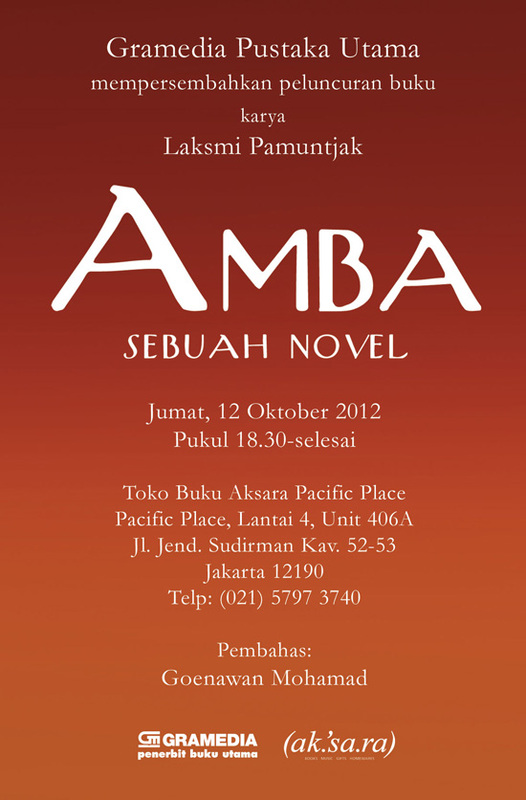 Laksmi's debut novel, Amba, hit bookstores nationwide on 2 October 2012. The novel, which is a modern take on the story of Amba and Bhisma from The Mahabharata, set against the backdrop of the bloody events of 1965 and the Buru penal colony, is now a national bestseller. It was published by Indonesia's leading publishing house, Gramedia Pustaka Utama. On 1 April 2014, the 4th edition of the novel, reprinted in October 2013, will be out in bookstores.